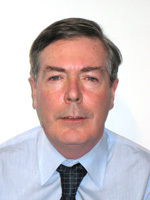 Louis Brennan is an Associate of Strategic Concepts International, Senior Lecturer in Business Studies at Trinity College's School of Business, and Research Associate at the Institute of International Integration Studies at Trinity College. His previous roles include Visiting Professor at Senshu University in Japan and Visiting Senior Fellow at the National University of Singapore. He was also Associate Professor at the Girard School of Business and International Commerce and a member of the faculty of the Departments of Industrial Engineering and Information Systems at Northeastern University, Boston and University College, Galway, Ireland. Louis is a member of the US Academy of Management, Academy of International Business, Production and Operations Management Society, The Decision Sciences Institute, European Operations Management Association and is also a registered member of the Ergonomics Society. He is also a member of the International Manufacturing Strategy Survey network and serves on several of their committees. He serves as one of the elected senior faculty representatives on the University of Dublin Council and is also a member of the Council of the Institute of International Trade of Ireland and of the Board of Transparency International Ireland. Louis was first listed the Marquis Who's Who in the World in 1991. Louis earned his Ph.D. at the University of Manchester Institute of Science and Technology in the area of Manufacturing Management. He holds undergraduate and graduate degrees in Industrial Engineering from the National University of Ireland and an MBA in International Management from Northeastern University, Boston. He also holds a certificate in Phonetics from the Universite de la Nouvelle Sorbonne in Paris. Louis serves on the editorial board of the International Journal of Technology Marketing and is currently serving as a guest editor for Research in International Business and Finance. His research has been published in some 35 research papers in leading international journals, including the Systemic Practice and Action Research, Journal of Internet Commerce, Integrated Manufacturing Systems, The International Journal of Manufacturing Technology, Journal of Organizational Change Management, Journal of Research In Ethical Issues In Organizations, International Journal of Production Planning and Control, International Journal of Production Research, International Journal of Operations and Production Management, Computers and Industrial Engineering, Computers and Electrical Engineering, Production and Inventory Management Journal, International Journal of Quality and Reliability Engineering, International Journal Of Manpower, and the Journal Of Engineering Management International, International Journal of Manufacturing and Technology Management, International Journal of Networking and Virtual Organizations, Business Strategy and the Environment, and Asia Pacific Business Review. In addition to Ireland where he was born, Louis has lived and worked in the UK, US, Japan, and Singapore. He has developed and delivered several executive development programs in areas such as global strategy, operations strategy, global supply chain management and global logistics. He has contributed to executive development programs in America, Europe and Asia and also regularly makes invited contributions to regional and global meetings on supply chain management. In recent years Louis has trained or advised senior executives from several organizations in both the private and public sectors. These include some of the major global technology companies and leading financial services institutions and the U.S. federal government. "Environmental Considerations within Manufacturing Strategy: an International Study", (with D. Crowe), Business Strategy and the Environment, forthcoming. "Ireland's Competitive Advantage and Japanese Outward Investment", (with R. Morales), Asia Pacific Business Review, Vol.13, No.2, 2007, pp. 1-31. ", (with R. Rios Morales), Asia Pacific Business Review, Vol.13, No.2, 2007, pp. 1-31. "Manufacturing Strategy and Innovation in Indigenous and Foreign Firms: an International Study", (with D. Crowe, A. Vecchi and P. Coughlan), International Journal of Manufacturing and Technology Management, Vol.11, No.1, 2007, pp. 3-27. "A Research Network Researching Networks: Challenges and Implications: An Irish Perspective" (with M. Brady), Irish Marketing Review, Vol. 18, No. 1 & 2, 2006 pp. 69-76. "Evaluating Partner Suitability in Collaborative Supply Networks", (with T. McNichols), International Journal of Networking and Virtual Organizations, Vol.3, No.2, 2006, pp. 220-237. "The Internationalisation of Indigenous Irish Software Companies - an Exploratory Study" (with D. Garvey), Irish Journal of Management, Vol.26, No.2 2006. "Action Research in Collaborative Improvement", (with R. Middel, D. Coghlan, P. Coughlan and T. McNichols), International Journal of Technology Management,Vol.33, No.1, 2006, pp.67-91. "The Art and Science Challenges within the Management of Product Development", (with P. Coughlan, M. Brady and P. de Weerd-Nederhof) Creativity and Innovation Management, Vol. 14, No. 4, pp. 331-333, December, 2005. "International Supply Chain Management: A Walk around the Elephant",(with K. Phillips Connolly, E. Sullivan and J. Murray), Irish Journal of Management, Vol.26, No.1, 2005, pp.149-162. "Leveraging technology at the customer interface", International Journal of Technology Marketing, Vol.1, No. 1, pp. 12-13, 2005. "Organising for Research and Action: Implementing Action Researcher Networks", (with D. Coghlan and P.Coughlan), Systemic Practice and Action Research, Vol. 17, No.1, 2004, pp. 37-49. "Managing Collaborative Relationships in a Period of Discontinuity", (with P. Coughlan et al), International Journal of Operations and Production Management,Vol.23, No.10,2003, pp.1246 1259. "Students' Online Behaviour: A Dual-Country Perspective", (with C. Comegys), Journal of Internet Commerce, Vol.2, No.2, 2003, pp. 69-87. "Collaboration in High Technology Companies in Ireland: Three Case Studies", (with P. Coughlan et al), Irish Journal of Management, Vol.23, No.2, 2002, pp. 19-29. "Total quality management in A Research and Development Environment", Integrated Manufacturing Systems: The International Journal of Manufacturing Technology Management, Vol.12, No.2, 2001, pp. 94-102. "Isolation and Technology: The Human Disconnect", (With G. Vega), Journal of Organizational Change Management, Vol. 13, No. 5, 2000, pp. 468-481. "Stoking the Engine: The Pressure Release Effect in Management Control", (With G. Vega), Journal of Research In Ethical Issues In Organizations, Vol. 2, 2000, JAI Press, Inc., pp. 161-184. "Disassembly of complex products with parts and materials commonality", (With K. Taleb and S.M. Gupta), International Journal of Production Planning and Control, Vol. 8, No.3, 1997, pp.255-269. Combined Demand and Lead Time Uncertainty with Back-Ordering in a Multi-Level Product Structure Environment",(With S.M. Gupta), International Journal of Production Planning and Control, Vol.7, No.1, 1996, pp.57-67. Implementation of Just-In-Time Methodology in a Small Company", (With S.M. Gupta), International Journal of Production Planning and Control, Vol. 6, No. 4, 1995, pp. 359-364. "MRP Systems Under Supply and Process Uncertainty in an Integrated Shop Floor Control Environment", (With S.M. Gupta), International Journal of Production Research, Vol. 33, No.1, 1995 pp.205-220. "Operations Planning Issues in an Assembly/Disassembly Environment", (With S.M. Gupta and K.Taleb ), International Journal of Operations and Production Management, Vol.14,no.9, 1994 pp.57-67. "The Operation of an Integrated Manufacturing System with Customer Access Via EDI", (With S.M. Gupta), International Journal of Production Planning and Control, Vol.5, No. 6, 1994, pp.543-551. "Lead Time Uncertainty with Backordering in Multi-Level Product Structures", (With S.M. Gupta), Computers and Industrial Engineering, Vol.26, No.2, 1994, pp.267-278. "The Performance of Materials Management in Multi- Level Product Structures with Demand Uncertainty and Back-Ordering", (With S.M. Gupta), Computers and Industrial Engineering, Vol.25, Sept. 1993, pp.89 - 93. "A Structured Analysis of Material Requirements Planning under Combined Demand and Supply Uncertainty", (With S.M. Gupta), International Journal of Production Research, Vol.31, No.7, 1993, pp.1689 - 1707. "A Knowledge Based System for Combined Just-In-Time and Material Requirements Planning", (With S.M. Gupta), Computers and Electrical Engineering, Vol. 19, No. 2, 1993, pp.157-174. "Heuristic and Optimal Approaches to Lot Sizing Incorporating Backorders: An Empirical Evaluation", (With S.M. Gupta), International Journal of Production Research, Vol.30, No. 12, 1992, pp.2813 - 2824. "Lot Sizing and Back-Ordering in Multi-level Product Structures", (With S.M. Gupta), Production and Inventory Management Journal, Vol. 33, No. 1, 1992, pp.27 - 35. "Requirements for Smaller Companies in Integrated Manufacturing", (With F. Finnan and M.E.J. O'Kelly), International Journal of Operations and Production Management, Vol. 10, No.7, 1990, pp. 57-68. "Quality Costs Determination On A Production Line ",(With H. Cullinane et al. ), International Journal of Quality and Reliability Engineering, Vol. 7, No.3, 1990, pp. 43-58. "A Decision Support System For Facility Acquisition",(With W. Cahill and J. Sheil), International Journal of Operations and Production Management, Vol.7, No.3, 1987, pp.36 - 48. "Manpower Requirements Of The Electronic Sub-assembly Test Process", (With P. Claffey, J. Dineen and M.E.J. O'Kelly), International Journal Of Manpower, Vol.7, No.4, 1986, pp.2 - 6. "The Planning Of Manufacturing Change In A Period Of Contraction", (With B. J. Davies), Proceedings Of The Institution of Mechanical Engineering, Part B: Management And Engineering Manufacture Vol. 199, No. B2, 1985, pp.l01 - 110. "Work Scheduling In A Batch Manufacturing System",(With J. Browne And B.J.Davies), Journal Of Engineering Management International Vol.3, No.3, 1985, pp.153-164. "An Analysis Of The Overtime Decision", (With J. Browne, B.J. Davies, A. R. Gault and M.E.J. O'Kelly), International Journal Of Operations And Production Management Vol.2, No.3, 1982, pp.19-36. "Shifting Patterns of Supply Chains" Ideas At Work, edited by F. Litton, T. Farmer and F. Scott Lennon, Dublin, May, 2006. "A New Taxonomy for Display Selection", (with B. Rigby), International Encyclopedia of Ergonomics and Human Factors, 2nd edition, edited by Waldemar Karwowski, Published by Taylor and Francis, pp. 1468 -1477, 2006. "Development of a New Taxonomy for Display Selection", (with B. Rigby), International Encyclopedia of Ergonomics and Human Factors, 2nd edition, edited by Waldemar Karwowski, Published by Taylor and Francis, pp. 1406 -1413, 2006. "The Application of Action Learning and Action Research in Collaborative Improvement within the Extended Manufacturing Enterprise" (with R. Middel, D. Coghlan and P. Coughlan), Research Methodologies for Supply Chain Management, Edited by S. Seuring,M. Muller, H. Kotzab, and G. Rainer, Springer Heidelberg, New York, pp.365-380, May, 2004. "Can Electronic Data Interchange Measure Up To A Collaborative Supply Chain?" (with T. McNichols), Internet Economy: Opportunities and Challenges for Developed and developing regions of the World, edited by Y. A. Hosni and T.M. Khalil, Elsevier Science Ltd., pp.27-42, 2004. "Ergospec: A Prototype Expert System For Workstation Design", (With L. Farrell and D. McGlennon), Computer Aided Ergonomics Edited by W. Karwowski et al., Taylor and Francis, 1990, pp. 117-127. "The Contribution of CAD to the Enhancement of the Ergonomist's role in the Design Process", (With E. F. Fallon), Computer-Aided Ergonomics Edited by W. Karwowski et al., Taylor and Francis , 1990, pp. 501-511. "Digital Simulation Modeling Of Production Systems ", (With A. Coll and J. Browne), Modeling Of Production Management Systems North Holland Pub. Co.,1985, pp.175-194. "On-Going Development Of A Job-Shop Simulation Model", (With J. Browne aqnd B.J. Davies), in Research In Production And Operations Management, 1984, Gower Publishing Co., pp. 365-391. "Lean Manufacturing", Accepted for publication in the second edition of Industrial Engineering Applications and Practice: Users Encyclopedia. "Made in Ireland II", (with P. Coughlan et al), Enterprise Ireland, forthcoming, 2007. "Managing Telecommuting in the Federal Government: An Interim Report", (with G. Vega), Published by the PricewaterhouseCoopers Endowment for The Business of Government, Arlington, VA, June 2000. "The Employment And Training Implications Of MicroElectronic Technology" AnCo-The Irish Industrial Training Authority Dublin, 1980. "A Study Of Overtime Working In Ireland", (With A.R. Gault And M.E.J. O'Kelly), E.E.C. Commission, Brussels 1980.